A daredevil pilot in the famed 352nd Fighter Squadron, the author of this remarkable memoir bailed out of his burning Mustang two days after D-Day and was launched on a thrilling adventure on the ground in Occupied France. 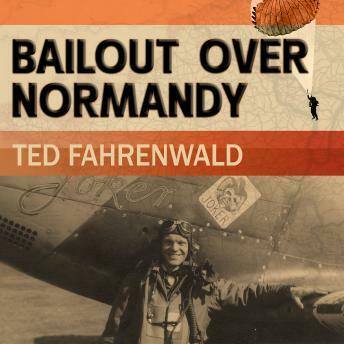 After months living and fighting with the French Resistance, Fahrenwald was captured by the Wehrmacht, interrogated as a spy, and interned in a POW camp-and made a daring escape just before his deportation to Germany. Nothing diminished this pilot's talent for spotting the ironic humor in even the most aggravating or dangerous situations-nor his penchant for extracting his own improvised and sometimes hilarious version of justice. A suspenseful World War II account and an outrageously witty tale of daring and friendship, this book brings to vivid life the daily bravery, mischief, and intrigues of fighter pilots, Resistance fighters, and other Allies in the air and on the ground.